Spiralling economic depression and government cut backs. Spain might not be as badly off as Greece, but recent international news reports about the country have been far from positive. You’ll be glad to hear then, that the Spanish Ministry of Education, Culture and Sport has reinforced its commitment, both educationally and financially, to offer the highest quality of tuition to those wishing to learn Spanish as a Foreign Language. In fact, the promotion of Spanish language and culture in the world continues to be one of the top priorities within the Spanish government’s education agenda, as it has been for decades. If you are considering attending a Spanish language course for foreigners at a public university in Spain, the Spanish government’s investment in SSL programs is indeed good news. Firstly, it means that you can choose an official Spanish language course from a wide selection of Ministry-approved programs, at several public universities in Spain. Secondly, the highly trained teachers and continuously assessed and revised teaching methods will guarantee you a top quality language education. 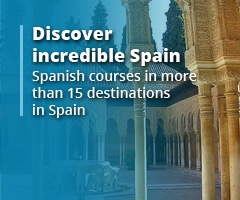 Thirdly, because the Spanish government’s language education initiative also aims to spread understanding of Spanish culture, on a Spanish university course you will not only improve your language skills, but also get to grips with many aspects of Spanish history, art, politics, people and customs. Finally, you’ll have an official, accredited diploma to show at the end of the course. This means that you will receive an attendance certificate at a minimum, but on many courses you may also opt for a level examination or a DELE diploma (more about those in a moment). These will look great on a CV or a job application. 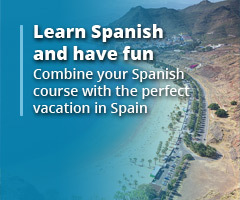 To give you an idea of the highly advanced global program the Spanish goverment has for teaching Spanish language, you only need to pay a visit to redELE. (The site is available only in Spanish, but you can use Google translate to get an idea, if your Spanish isn’t at an advanced level yet). redELE is a public service electronic network, which the Spanish Ministry of Education makes available specifically to teachers of Spanish as a Foreign Language. Because redELE is an open platform, participation is invited from all those interested in or involved with the teaching of Spanish language and the spreading of Spanish culture. The network offers immense resources to Spanish teachers and language education staff everywhere – a regularly published online magazine, statistics and reports, numerous training opportunities and international seminars, as well as a virtual library. One of the bigger projects of redELE is the research publication El Mundo Estudia Español, which reports on the global developments in Spanish language tuition. In the words of Spain’s Education Minister José Ignacio Wert, El Mundo Estudia Español is aimed as something “of use to all those interested in spreading Spanish language” and “its future as a language of culture and communication…”, as well as “reflecting Spain’s commitment to spreading Spanish culture and language globally.” (EMEE 2012). You should of course be aware, though, that not every Spanish public university is the same. UniSpain works with both well-known, historic universities in Spain, as well as some of the newer learning institutions. We have found each one to have their pros and cons. For example, where the 500-year old Complutense University in Madrid is internationally famous and hugely popular, its teaching facilities and administrative organisation have been reported as rather lacking by former students. The UAB, or Barcelona’s Autonomous University, is a relatively new university having been established in the late 70’s, yet it tops both national and international league tables. Get the scoop on these universities on the UniSpain website, or by reading our blog articles Top 5 Best Universities for Studying Spanish in Spain and Top 5 Cheapest Spanish University Language Courses. There are three different types of certificates or diplomas you can attain from a Spanish university, when doing a Spanish as a Foreign Language course: a certificate of attendance, a level certificate or a DELE examination certificate. A certificate of attendance is a diploma that confirms you have attended a Spanish language course at a Spanish university. These certificates are normally given for all courses, but require you to attend a minimum number of lessons or lectures – usually 80% upwards. A level certificate confirms your competency in the Spanish language – written, spoken, read and understood. To gain this certificate, you are required to pass an Escuela Oficial de Idiomas (Official School of Languages) examination at the end of your course. This may be available for some courses, but not all, as the examinations may be available at certain times of the year only, or the course length does not allow for the exams to be included. You may also need to pay an exam fee separately, unless it is already included in your course fee. There are five official Spanish levels you can take an examination for: A2 (basic), B1 (intermediate), B2 (advanced), and C1 (fluent, only available at Salamanca). Finally, the DELE diploma (Diploma de Español como Lengua Extranjera) is an official certificate that accredits your level of competency in the Spanish language, as awarded by the Cervantes Institute. DELE examinations are internationally recognised, and you can take them at all of the six levels in line with the European Union language competency (CEFR Europass) levels: A1 (beginner), A2 (basic), B1 (lower intermediate), B2 (higher intermediate), C1 (lower proficient) and C2 (completely proficient). Find out more about the DELE examination on our DELE page, or by reading our blog article Recognized Spanish Language Qualifications – DELE vs Chamber of Commerce Business Spanish Examinations. We can definitely conclude that public university Spanish language diplomas from Spain’s public universities are well worth investing in. 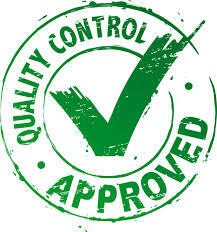 Added benefits are the quality of tuition, the prices, and the boost to your academic or professional career. Added to your CV, a Spanish Ministry of Education accredited attendance or level certificate from a Spanish university course will simply look great. And employers and academic institutions around the world will always recognise a DELE examination awarded by the Cervantes Institute. Aside the qualifications themselves, of course, there may be factors that you’ll like less: large number of students per classroom in some cases, less organised social activities, and a student population that sits heavily in the 18-30 demographic, especially during the summer vacation courses. If these factors are important to you, check out our blog article Choosing the Right Spanish Language School: Spanish Universities Vs. Private Schools. All in all, though, you really will not go far wrong by choosing to study at a Spanish university. If you have further questions, we have lots of resources for you to check out too: try out our School Comparison Tool, download all the brochures of the universities that interest you most, or get in touch with UniSpain’s expert staff. We will be happy to help you!